First of all, there is no such thing as a “grit”. It is always the plural “grits”. You eat a bowl of grits or have a healthy side of grits on your plate, but never just a grit. Grits are a coarse ground corn product, sifted out from the finer milled cornmeal from which cornbread is made. 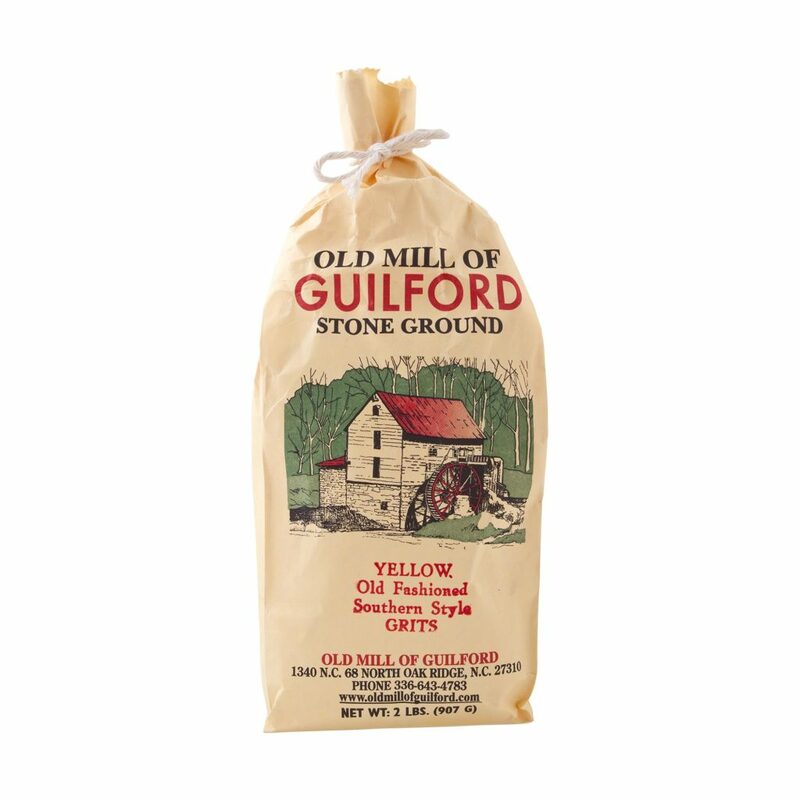 Traditionally grits were ground at a stone grist mill, just as the grits we sent to you were produced. Since some of these packages are going to areas where grits are not common, we thought an explanation was needed to persuade some of you to try them. We attached links to some recipes to try. The traditional way to eat grits is as a side dish with a big country breakfast. After you cook the grits following the simple recipe on the bag (or they can be microwaved for individual servings), you have to season the grits correctly. Southern tradition would suggest a couple of large pats of butter, black pepper to taste and a few light shakes of the salt shaker added to the grits, serve beside eggs over-medium, with country sausage or bacon and a home-made biscuit is the number one way to enjoy grits down South. Don’t forget to sop up every drop of egg and grits with that biscuit or a piece of toast. 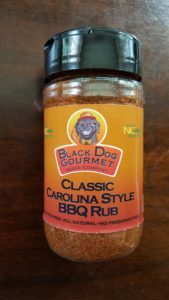 We have also included a few recipes to try using the Old Mill at Guilford grits and the Black Dog Gourmet Classic Carolina Style BBQ Rub you were given. ANYTIME: Cheese Grits – pair with eggs and bacon for breakfast or chicken and sautéed spinach for dinner! Preheat oven to 350 degrees. In a large bowl, combine the ground beef, plain bread crumbs, onion, Carolina Classic Spice Rub, and eggs. Mix this well and place in a 5×9 inch loaf pan. Bake for 1 hr. Pour off fat. Top with BBQ sauce and bake 10 minutes longer.